2120 and 2122 Vilas have identical projectors and connection options. Instructor iMacs are connected to the room projector via HDMI. To use the projector simply power on the projector using the remote in the room. The projector will seek out the active display connection. 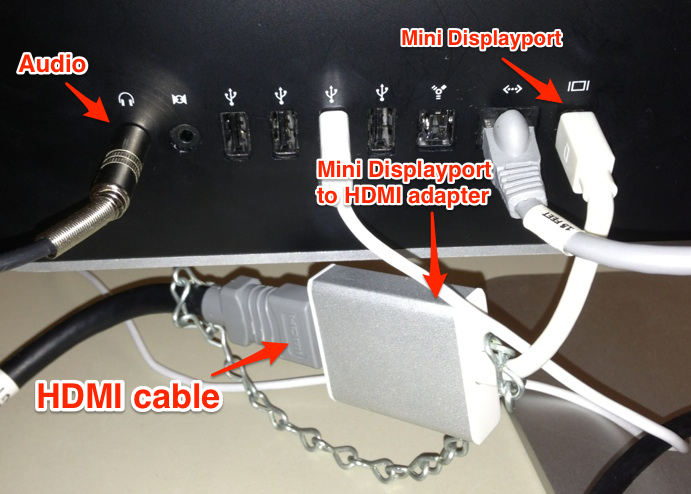 Audio for the HDMI connection is sent to the projector from the iMac’s headphone port through the audio cable matched with the HDMI cable. 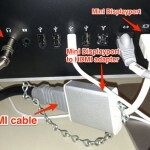 When connecting a device to the VGA connection, connect your device to the available VGA cable and connected audio cable, and power on the projector. The projector should find your device’s connection. Volume is controlled using the projector remote. Is the projector powered on? Is the correct video source selected? 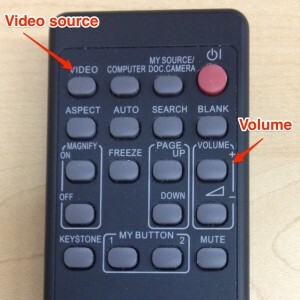 Change the video source by pressing the Video button on the projector remote (see image of remote above). Make sure the correct audio cable is plugged in to the instructor iMac or your device. The cables are paired with their respective video cable. Check the volume of the projector and your device. 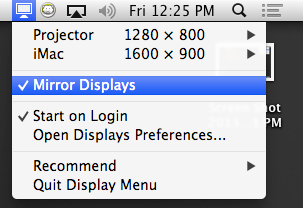 Adjust the volume of the projector using the remote (see image of remote above). 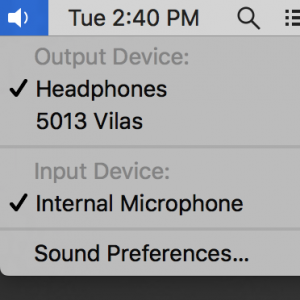 Hold down the option key and click the volume icon in your menubar to select the correct audio device.